The recent, terrifying massacre at two mosques in New Zealand, in which at least 50 people died and many others were seriously injured — leaves us wondering whether we are living in an age of such hatred and anger that there is no hope for tolerance. The deadly assault has been attributed to various factors: bigotry, white supremacy, media propaganda against Muslims and even anti-Muslim Christian teaching. There is both bigotry and a belief in white supremacy in his manifesto but also a great deal of fear about Muslim dominance in Europe. “Immigrants [are] replacing European populations in their homelands with higher birth rates”, he writes, referring to them as invaders. He also says that the massacre is in retaliation for Muslims’ attacks in Europe. It is evident that he resents not only Muslims but also politicians and officials in Europe, describing them as “traitors”, so his motives are not entirely based on religion. It is an over-simplification to attribute Tarrant’s motives to bigotry, racism or white supremacy, and worse, this might cause further divisions between nations, eventually leading to more hatred. The minister turned out to be right because in harbouring radical Islamists Europe also damaged the relations between Muslims and other European citizens, increasing the latter’s fear that Muslims would wipe out their civilisation. The only way to combat terrorism is to move beyond the two dominant approaches taken by the Europeans and Americans. The first is the left-leaning position of being politically correct and apologetic for radical Islamism and the second is the right-wing viewpoint that lumps all Muslims together, Muslims and Islamists alike. Apologist writers and senior officials in the West have even been encouraging Arab and Muslim countries to integrate radical Islamists such as the Muslim Brotherhood into politics. Dr Jamal Al Suwaidi, director-general of the Emirates Centre for Strategic Studies and Research (ECSSR), explained in his book, The Mirage, the dangerous consequences of extremist groups participating in politics. The whole world learnt the tragic lesson of giving political power to such groups when it accepted the democratic authority of the Nazis. The real threat Islamists and sympathetic political religious groups pose, according to Dr Al Suwaidi, is their emphasis on the fundamental dichotomy between the West (the others) and their followers. These groups believe any form of interaction is an act of “westernisation” that seeks to pollute Islamic culture and society, an approach that is the polar opposite of the practices of ancient Islamic civilisation, when interaction with other civilisations was sought to share scientific knowledge, literature and ideas. Western right-wing commentators are no less dangerous. 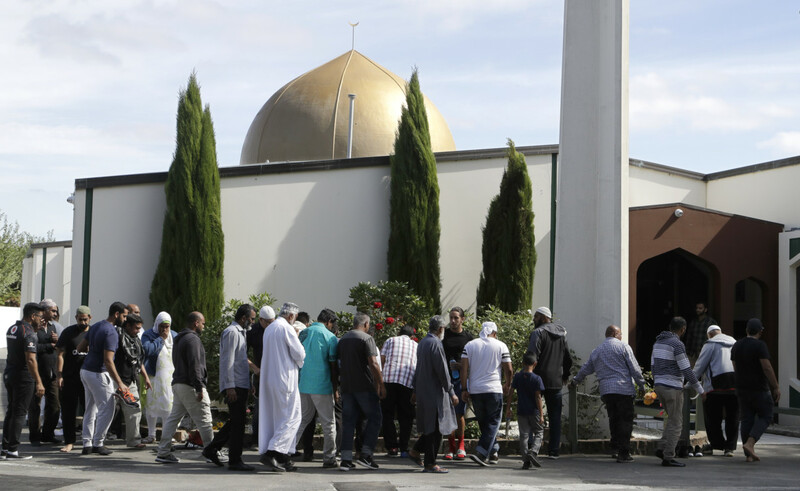 The reductionist claims by the Australian Senator, Fraser Anning, over the New Zealand attack, suggested that Muslim immigration was to blame for the attack. Such comments fuel calls by radical political religious groups in Europe to become more insular and may generate further support for their causes. The fight against terrorism will never succeed with political homophily. The right’s hostility and presumption of radicalism and the left’s apologist approach will only generate more hatred towards Muslims in the West. Partisan agreement is crucial in the fight against terrorism, as is listening to Muslim leaders and researchers. Dr Najat AlSaied is an independent researcher based in the UAE.